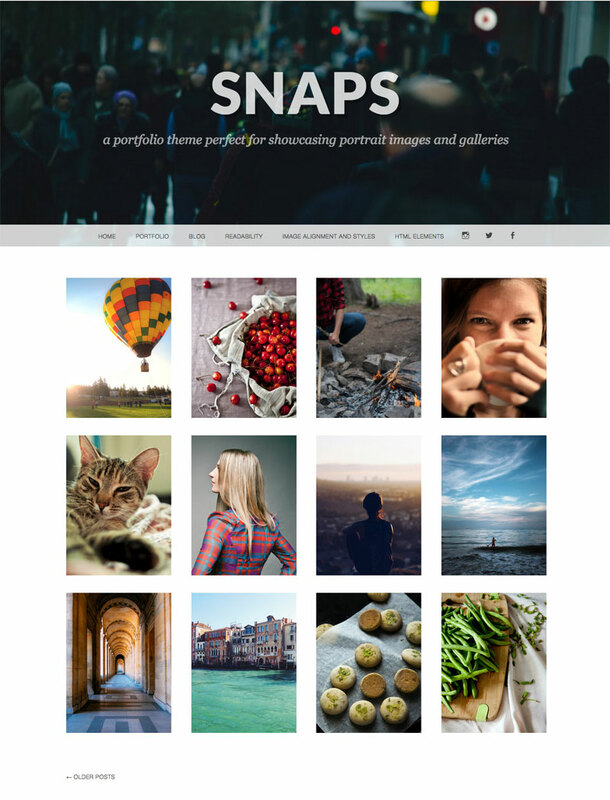 Snaps is a portfolio theme designed to showcase portrait-oriented photographs, illustrations, and other works of art. The simple, elegant design keeps the focus on your projects, and scales to fit any screen size. 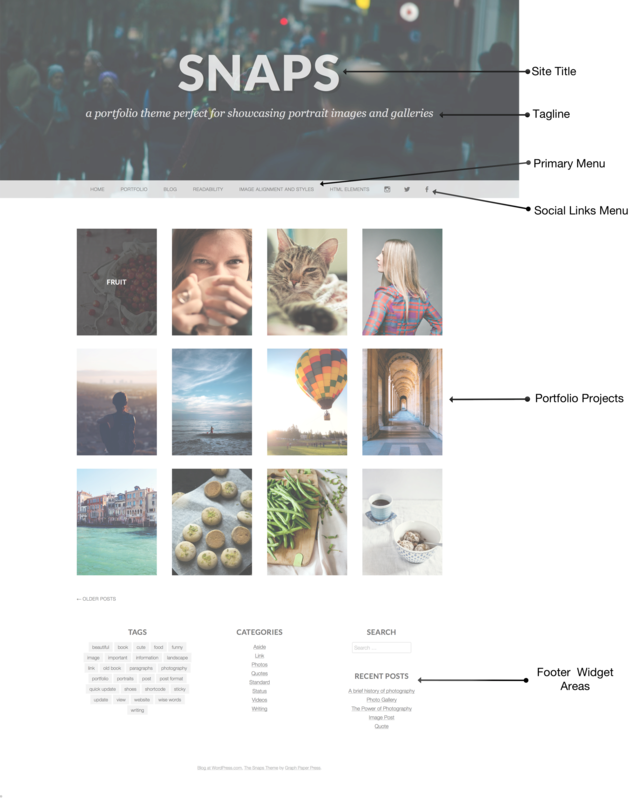 Snaps takes advantage of the Portfolios feature on WordPress.com, offering unique layouts and organization for your images. The Snaps theme will now display your Portfolio projects on the homepage. Please note, that the page using Portfolio Page Template will not support the Infinite Scroll feature. You can also use the [portfolio] shortcode to show your projects on any page or post on your site. Above post titles on the blog index, archive pages, and single post pages. On the blog index and archive pages, most post formats will display the Featured Image at 795 pixels wide; the Image post format will display the Featured Image at 1075 pixels wide. All single posts will display the Featured Image at 1075 pixels wide. Snaps supports a Custom Header, shown at the top of each page of your site. The image will be cropped for small screens to fit the available space, which means not all of the header image will be visible on all screen sizes, so decorative background images may work best. Please start with an image that’s at least 1200 pixels wide by 500 pixels high. Brand Snaps further by uploading a Site Logo to display on top of the header. To add one, go to Customize → Site Identity, and click Add Logo to select an image file. The logo will display at a maximum of 300 pixels wide and 160 pixels tall. Snaps has two navigation areas: the Primary Menu and the Social Links Menu, both of which can be edited in Customizer → Menus. The Primary Menu is typically used for links to pages, categories, posts, and external links, and can display drop-down submenus. The Social Links Menu links to your social media accounts, and displays an icon for each supported service. Snaps has three locations for widgets in the footer. You can manage the widgets in Customizer → Widgets. 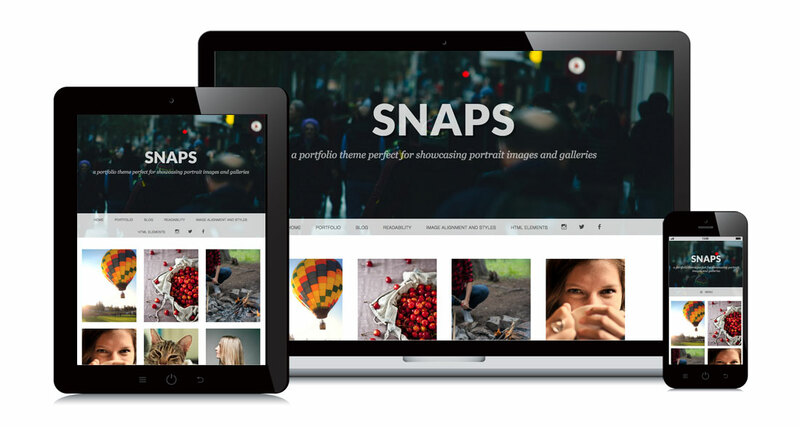 Snaps is designed for all screen sizes, so it looks great on desktops, laptops, tablets, and smartphones. The main column width on pages is 1075. The main column width on posts, blog index, archive, and search pages is 795. 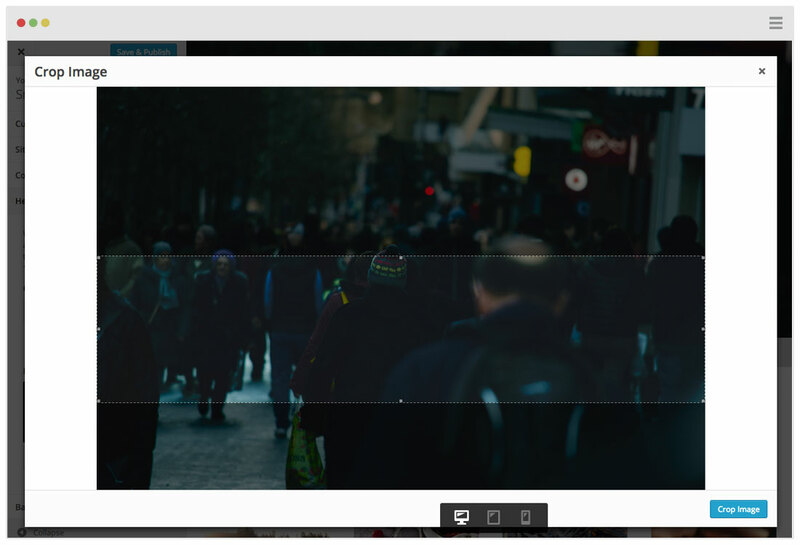 Custom Header dimensions should be uploaded at least 1200 by 500; when display they are fluid, displayed at varying widths and heights, depending on the screen size. Featured Images are 1075 wide; there is no limit to the height.